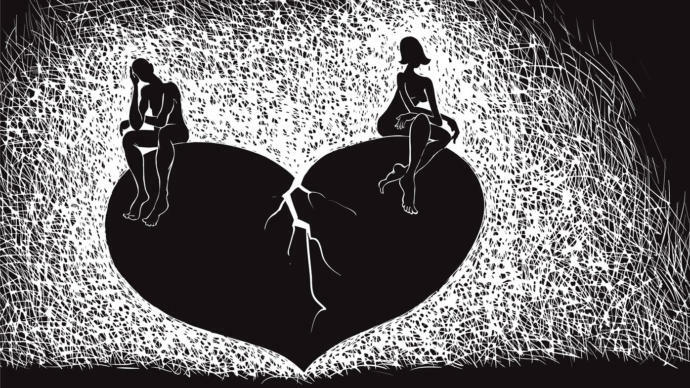 Which is the better option: being a heartbreaker or being heartbroken? Heartbreaker. When I do it, the heartbroken deserve it. It's almost always because they did something to me, and expect me to still want to be with them afterwards. Being a heartbreaker is better if u don't care about breaking their heart. When your heartbroken its easier to move on cause you deserve better. Definitely being heartbreaker. You always have the upper hand. And if you are heartbroken, it likely was not your choice. How do you cope with finding out your ex is dating someone else? Have you ever gotten back with an ex you thought you'd never be with again? How do I get over my ex cheating on me? My ex got back in touch then disappeared again? Should I double text him or just wait? Neither are good. I hate hurting people. But heartbreak is awful. At least I think I do"
Being heartbroken heals over time but good luck getting rid of the guilt of being a heartbreaker. Obviously I'd rather be the heartbreaker. I have no desire to hurt anyone else, but if it must be so--better them than me. Don't think I could handle breaking hearts. Broken, I don't want to be a shity person because someone was to me. It just makes more shity people. Heartbroken. I can heal my wounds I can't heal someone else's. Being heartbroken. The guilt of breaking a heart is no fun. Being a heartbreaker but neither are good. Heartbreaker. doesn't kill me slowly. Breaking up with someone when you love them: It blows! On regret - YOLO doesn't exist Borderline personality disorder: Males beware Low.. Low.. Low.. How low can you go. Politics Limbo.. Women's Best Role: "Becoming a Housewife"
Home > Break Up & Divorce > Which is the better option: being a heartbreaker or being heartbroken?